Forest Holme Hospice in Poole is appealing to locals for support during National Hospice Awareness Month in June to help raise both awareness and funds for the hospice and highlight the important role of hospices in the local community. Forest Holme, which provides end-of-life care and support to more than 1,000 people each year with advanced cancer and other life-limiting illnesses such as Motor Neurone Disease, Parkinson’s, heart disease and respiratory illness, will be joining hospices across the UK in celebrating Hospice Awareness Month with various events. The colour yellow, which has long been associated with the hospice movement, is used as a theme throughout the month and one of the most significant events taking place is the annual Tie A Yellow Ribbon, which takes place in the garden of the hospice on Thursday 14 June between 10am-4pm. Members of the public are invited to tie a yellow ribbon in dedication of a loved one, with ribbons carrying the name of the person being remembered. It can also include a short message. For those who are unable to attend but would still like to make a dedication, the staff at the hospice will happily make it in their absence. Refreshments and homemade cakes will be available during the day. 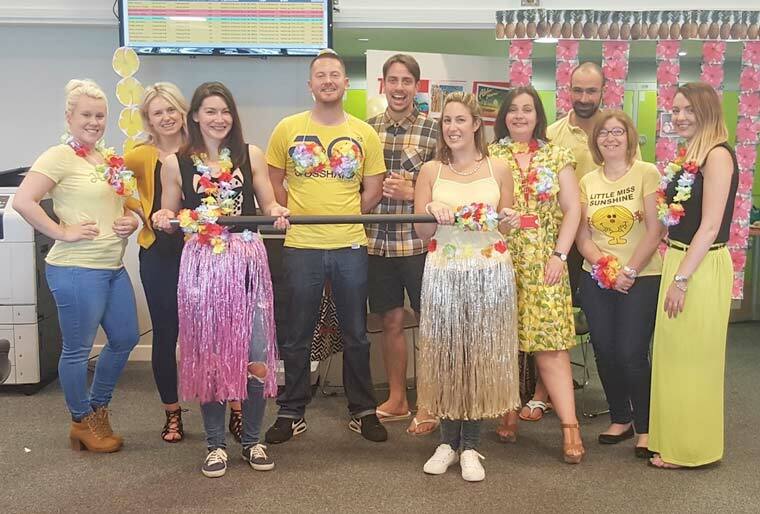 The following day, Friday 15 June, Forest Holme celebrate Wear Yellow Day, when they encourage local schools, businesses, community groups and individuals to wear yellow for the day in exchange for a small donation to the hospice. Paul Tucker, adds, “Hospice Awareness Month Hospice is about creating a better understanding of hospice care and raising money to help provide that care to local people, helping us make a real difference to the lives of our patients. There are lots of ways in which people can get involved with Wear Yellow Day, whether at work, school, clubs or at home. Some people go all out with face paints and wigs, and others are a bit more discreet choosing to accessorise with yellow scarves, jewellery, hair clips, and badges. As well as Tie A Yellow Ribbon and Wear Yellow Day, Forest Holme will be bucket collecting outside Haskins Garden Centre every Friday throughout June and will also be celebrating National Cream Day with delicious scones, cream, jam, cakes and tea on Friday 29 June at the hospice.